You'll get snail-mail (tons of it), robo-calls (that we all hate) and maybe dinner/seminar invites. They are going to spin you a story about how these MA plans cost you nothing and are the "best" deal for you. It's all about the money... and I'll tell you what the money is when I speak with you... what the carriers get paid from Medicare and what the agents get paid. 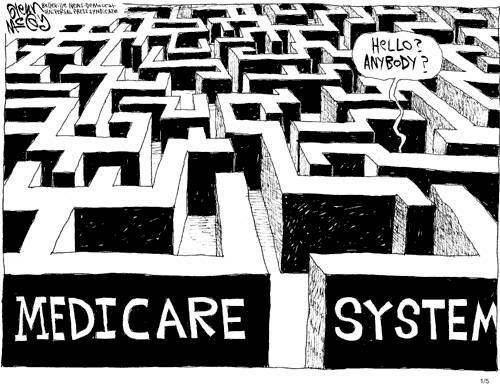 If you are new to Medicare, all of this is confusing as hell. Let me make it simple. 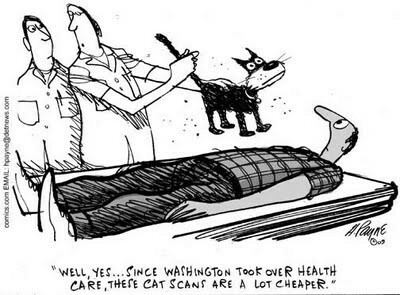 Forget most of these zero-cost Medicare Advantage plans. Most of them are crap. Why are they crap? They usually have high deducts and most of them are HMOs (a PITA!) with small networks (and I'll bet your doc is not in it!) Also most of these MA plans restrict you to one hospital in your area... usually not the one you want to go to! 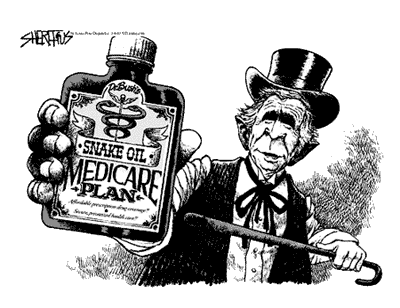 I sell Medicare Supplemental coverage. There are lots of them but I only sell Plan F and Plan G.
If you don't know Plan F from Planet Zardo, no problem. It doesn't matter. Plan F (or maybe G if you are into your 70s) is what you want... because it is the best... and I'll explain more below. I only sell Medicare Supplements (often called Medigap coverage.) There are a bunch of different plans out there but I only sell TWO of them. You can see a nice, simple chart that compares all the plans by clicking here and scrolling about half-way down the page. The two I sell are Plan F and Plan G.
Why do I only sell these two. Because they have the maximum coverage you can get no matter where you live. Why don't I sell other plans? Because I don't think they have the value of either an F or G. My clients and I want the best coverage we can get, no matter what the cost. I'm in my 60s and on Medicare. I have an F. But if I were older I might have a G, because the yearly premium savings could be more than the current $183 Part B deduct. I will be happy to explain these plans in four-part harmony and full orchestration if you like. Just give me a call. 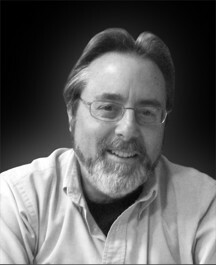 Currently I only write for the two Blues (which in California are two separate companies and have no connection with each other)... Anthem Blue Cross and Blue Shield of California. Why only those? Give me a call and I'll be happy to explain. I will only sell you an F or a G. If you want a plan with less coverage... call another agent. I'm not the one you want. While my main markets are cities and towns in Northern and Central California -1-. I have a fair number of clients throughout the rest of California from referrals. People have seen other agent sites and they always ask me how come I don't have the usual pictures of the happy family at the park, or the robust seniors on the cruise ship, or the group of grandchildren at the circus? Why am I showing pill bottles? I don't have "happy pix" because buying insurance is not a day in the park. Some insurance agents believe that they can manipulate clients with "warm and fuzzy" pictures and then con their victims into buying a plan from a carrier that the agent gets the highest commission on. Choosing insurance of any kind is serious business and that's how I treat it. No romping Golden Retrievers here! I'm not going to "snow" you with a lot of hype and sales bull-%$#@. With me it's about getting you the right Medicare supplement (and there are only two of them) at the right price. Those are serious issues and I want my customers to understand that having the wrong plans can COST them their future or that of their family. How do you put THAT in a picture? You can't do it with a clown and a happy-face! There are three, and only three, things you must know about me. If you give me the opportunity to serve you I will do an excellent job. I will assess your needs, and I will help get you through the application process. That’s the service... it’s what I do. Yes, you could buy right from a carrier website. But it cost you zero dollars to use me or any agent, so why would you do that? Honestly. I don’t really sell insurance. The carriers do that. I educate you and you decide what you want to do. I sell me. You buy me. Need to change your policy? I’m here. Have an issue with a carrier? I’m here. Want to call and just chat? I’m here. Anyone can (and will!) SELL you insurance. I won’t SELL you “a policy.” I will give you the opportunity to BUY what I REALLY sell… peace of mind… knowing that you received the best plan for your money, one that will cover your assets and which you can keep from year to year. I will earn your business and referrals to your friends, family, and colleagues. I’m good at this, I like doing a good service for my clients, and if you choose me, I will be proud to have you as a client… and a friend. Please call or write me if you have questions.